How many times have you arrived at a site, felt disoriented, and left within a few seconds because you didn't want to waste time? Or, perhaps had a quick skim and could not figure out the point of it or what it represented? Maybe it was the organization of the information, or the choice of colors, or the small font, or the annoying banner. Whatever it was, you knew one thing for sure: a captivating and usable web design is critical to ensuring a successful online presence. I would go further and say that there is nothing more lasting than a first impression. After all, it can really make or break your online business success. When someone comes to your site, you want the impression to be one that captures their attention and makes them want to stay. In fact, you have about five seconds to do so. Any longer, and your potential client is going to move on. This is why it's extremely important to build a site that is both visually appealing and relays your core message clearly. But good web design principles go beyond the purely aesthetic. A website needs to be more than just eye candy - it needs to be optimized for search engine results, it needs to work in different browsers, it needs to inspire confidence in your customers, and ultimately it needs to increase conversion rates. The fact of the matter is that anyone can build a website using cheap templates and their neighbor's college kid for help, but choosing this option means you may be compromising your business's reputation and your chances of generating traffic to your site. If your design is not effective, ultimately you and your business will not be effective. Let me put it in a different way - have you ever walked into a room and instantly felt at ease? Your website should bring out the same feelings when someone visits your site. A well designed website is like that comfortable room you just love spending time in - It transforms the way you feel and make you want to be there. A well designed website catches visitor's attention and compels them to seek further in the site. A well-designed website signals trustworthiness and creates confidence so visitors know you are great at what you do. And more than anything, a well-designed website converts a one-time visitor into a regular customer. If the above sounds like something you are looking for than contact us and find out how we can help. The old adage of 'build it and they will come' is a myth when it comes to building and running an online business. You want to create a website that not only is visually appealing but also optimized for search engines. The difference between a well-optimized site and one that is poorly optimized could be the difference between success and failure. A site that is well-optimized can lead to an increase in site traffic, brand visibility and have a higher likelihood of being recommended to a user. It other words, It can mean more business and a better bottom line for you. If your business doesn't utilize Search Engine Optimization (SEO) practices, then your chances of ranking on the front page are minimal. While you can ignore or not pay attention to SEO - rest assured, your competition is already utilizing it. Now, much has changed since the latest Google algorithm update so you want to be careful when doing or employing someone to do SEO for you. The philosophy that I subscribe to is different from the traditional approach to SEO. 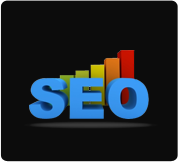 Most Search Engine Optimization companies offer quick link-building services such as article and directory submissions with the promise of increasing your page ranking in search engines, but the truth is most of the widely-publicized techniques of link-building are nearly worthless because everyone has abused them to the maximum extent. In other words, if you come across a standardized optimization technique that the masses are using in an abusive way, you can be almost certain that it is ineffective. These days it's even dangerous - Your site can be flagged for over-optimization and drop in rankings. This is why it's imperative that you choose an experienced and reliable SEO Professional who understands Google's latest changes in depth. I have more than 10 years of experience in ethical search engine optimization with a proven track record of delivering high value results. I love what I do and I'd like to share my passion with others. To begin, Send us your website's name and one keyword you would like to target and I will give you my initial thoughts for free. Know your competition and use it to your advantage. Understand what potential clients are searching for. Enhance your brand reputation and online visibility. Validate your site's code and create faster loading pages. Target and engage customers both locally as well as globally. 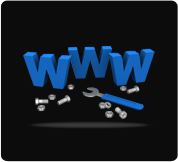 Most importantly, generate free and targeted traffic to your website 24/7. Whether or not you've started using social media, there is no denying the fact that it is on the rise and is here to stay. With more than a billion social media users worldwide, it is pretty self-evident that your business can't afford to ignore it. And, with the rapid increase in the number of mobile phones connected to the internet, social media is experiencing even more growth. Your choice now is to either stand on the sidelines or get in the game. If you're hesitant because you think social media is just a bunch of people telling each other what they're doing, it's time to think again. Believe me. I was a bit hesitant at first as well. I didn't want to know what other people are doing every minute of the day. But I quickly realized what a golden opportunity laid in front of me. Never before has there been a tool that allows you to build a massive targeted audience of loyal followers who are genuinely interested in what you're offering. Never before has a message could spread so quickly through "word-of mouth". Never before has real time-communication with current or prospective customers been so easy. And if that's not enough for you, search engines are now taking social media factors into account when ranking your site. By using the latest and best strategies, we can help you leverage various social media outlets such as Facebook, Twitter, Google+, LinkedIn, Flicker and Pinterest in order to increase traffic to your website and ultimately your bottom line. Evaluation of your current social presence including information on user engagement, interactions and mentions of your brand. 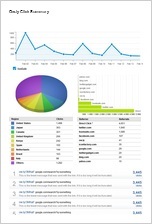 A complete analysis of traffic sources to your site as well as the growth of your followers. Running an effective social media campaign requires specific skills, focused dedication and a significant time commitment. You don't have to do it alone. Let us be the eyes and ears of your brand online. 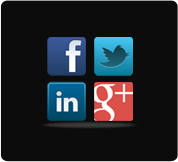 Contact us today and we'll review your current social media position.